Have you or a loved one been a victim of financial abuse? Has a child, sibling, neighbor or care worker got you or a relative to add their name onto a bank account or change beneficiary designations? Has a loved one changed beneficiary designations to someone that would not ordinarily inherit? Has a power of attorney or trustee misused assets, failed to account for money or otherwise been acting inappropriately? 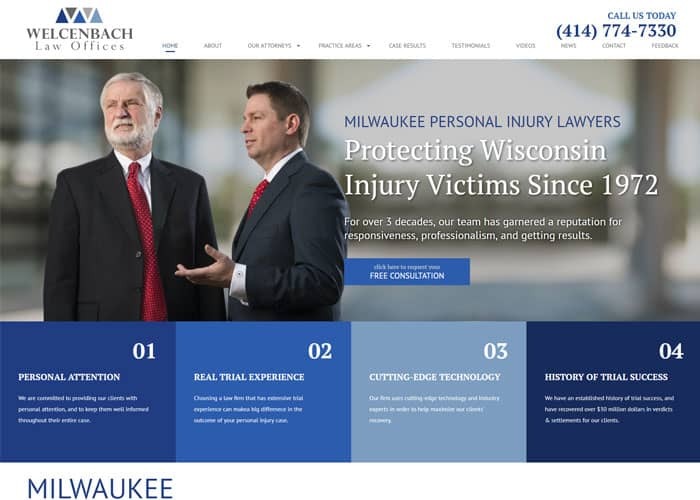 At Welcenbach Law Offices, our Milwaukee and Waukesha elder financial abuse attorneys have experience in all types of these cases. Recovery of more than $533,000.00 due to a change of beneficiary by a neighbor who became power of attorney. Recovery of more than $140,000.00 in a case against a former power of attorney. All court costs were paid by the other side. Recovery of $200,000 from the Estate of a decedent based upon a Will being signed due to the undue influence of the decedent’s friend. Jury verdict setting aside life insurance beneficiary designations that were done by a second wife who was an insurance agent after she removed her husband’s children from a prior marriage and named herself as sole beneficiary. If you or a relative suspect that someone has been acting inappropriately, attempting to influence you or a relative to add their name as a joint owner or beneficiary on a bank account or to change their beneficiary designations, contact one of our Wisconsin financial elder abuse lawyers. Although we have offices in Milwaukee and Waukesha, Wisconsin, our elder financial exploitation attorneys handle cases throughout the State of Wisconsin. Our attorneys often speak at seminars locally and nationwide on remedying financial exploitation of the elderly. If you have further questions, call us at (414) 774-7330 or email us.